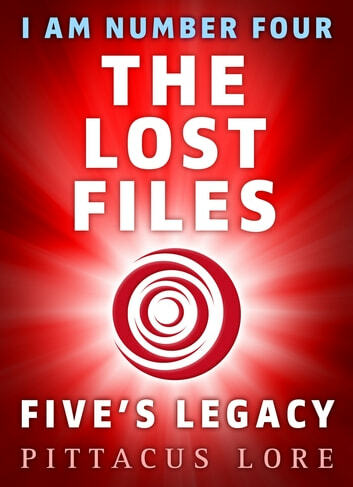 I Am Number Four: The Lost Files: Five's Legacy is the 7th ebook exclusive mini installment in the heartstopping Lorien Legacies series. Discover the true origins of the traitorous Number Five. Before allying himself with the Mogadorians, before infiltrating the Garde, before committing the ultimate betrayal, Five was in hiding just like the others. But when his Cêpan dies, Five is forced to survive on his own. Eager to finally experience the world he was always kept apart from, Five soon gets involved with the wrong kind of people-the Mogadorians. In Five's Legacy see how one of Lorien's last hopes for survival became one of its most dangerous adversaries. The first book in Pittacus Lore's Lorien Legacies series, I Am Number Four, is now a major Disney motion picture.